Time poverty is a problem for many Australian households and work is the main culprit. Australians start work young, and we are working more, and longer into old age. While maximising our productivity and enhancing our professional skills, we must also raise our children well, care for our aged, be involved in our community and shrink our carbon footprint – a footprint shaped by the patterns and habits of our work, social obligations and households. What is it costing Australians to try and do it all? And what is it costing our families and communities? 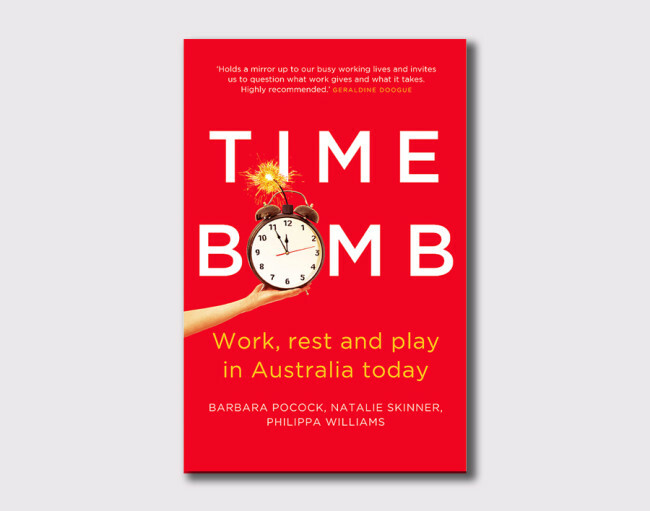 Incisive and thought-provoking, Time Bomb throws light on poor urban planning, workplace laws and practices, care obligations and other issues that rob us of time and put our households under pressure. And it looks at how work affects our response to the greatest concern of our time – our environmental challenges.